Naturally, every instructor has his/her God-given voice. This voice is what instructors use in conversing with people in their everyday life activities. They are known and identified by such voices. This natural voice must not be confused with speaking with the naturalness which has been endorsed by many public speakers as one of the efficient speaking habits. This naturalness is contrasted with a public speaker being nervous, shaky or straining the voice as a result of shyness or unpreparedness of his/her lesson delivery. Thus, it is essential to be natural in this context as an instructor. However, the natural voice is the tone, manner and voice expression that an instructor uses in his/her everyday conversations. It is usually characterized by low-toned speech, not meant for a large group. Some instructors naturally speak in a relatively fast manner. Others unnecessarily use jargons or mannerisms while speaking. Still, some instructors naturally stammer while speaking. Also, some instructors do not have the ability to persuade a set of individuals to adopt a particular behavioral pattern naturally with their voice. Therefore, an effective instructor must earnestly strive to shift from his/her natural voice to an instructor's voice. An instructor's voice, unlike the natural voice, helps students to relax and listen to an instructor with pleasure. 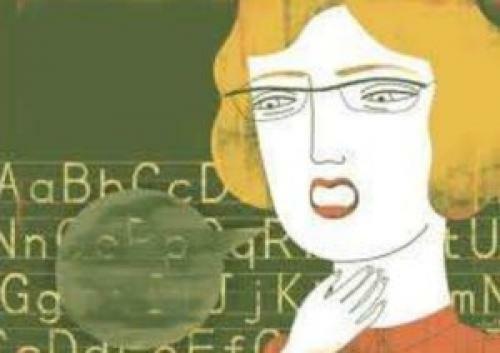 Students find it difficult listening to an instructor whose natural voice is relatively slow or fast. Students lose the importance and urgency associated with a particular lesson delivery if an instructor speaks with a tortoise voice. Some students tend to converse amongst themselves while a slow-voiced instructor is teaching. Others even end up dosing unintentionally due to the extremely low-paced voice of an instructor. Therefore, naturally slow speaking instructors must uplift their voices. They must learn to speak with warmth, shifting from their natural slowness to speaking in an enthusiastic manner. Such animated delivery gives students prove of the instructor's strong passion for the value of the content being delivered. It propels them to sit up even if they are sleeping literally. On the other hand, an instructor who is naturally a fast speaker, speaking very fast as if with the speed of eight airplanes must learn to adjust and reduce the speed of the voice. Slang speech which is an aspect of fast speech results in students losing a greater part of the content delivered. Some even would have to engage in the difficult task of asking for a peer briefing of the lecture they were casual attendees! Thus, an instructor's voice is not too slow neither is it spoken too fast. It is gauged in a moderate tone to meet the listening speed of students, exactly how they would want to hear. Also, the natural voices of some instructors are pregnant with a pool of jargons and mannerisms. This discolors their lesson delivery and lessens its targeted impact of assisting learners in attaining the expected learning outcomes. The minds of most learners thwart to the repetitive mannerisms of the instructor such as 'You know what', 'As I was saying' and many others. An instructor must constantly check his/her mannerism by recording his/her lesson deliveries and playing back to listen to himself/herself. S/he must work hard at varying and adding decorum to his/her speech rather than resorting to the constant jargons or mannerisms. This would make students listen to the instructor with pleasure and not distaste. Moreover, natural stammers in speaking must train their voices to mitigate the spontaneity of stammering. This all important discipline in the voice would aid in regulating the break in a speech that results in stuttering. An instructor's voice must sustain the attention of students in a positive way. A stuttering instructor must make every effort not to draw undue attention to the disdain in his/her voice. Rather, his/her disciplined voice must direct students' attention to the essence of the content being delivered. To speak very well with high voice quality and decorum, it is advised that an instructor always trains his/her voice, shifting it from their natural state to an instructor's voice. Instructors must develop proper breath control and this can be carried out through constant breathing in and out exercises. Also, in delivering lessons, instructors must stand erect with their shoulders back, while breathing to fill the lower part of the lungs, and gradually exhaling while speaking. It is equally important to relax tense muscles and mental tension. If instructors adequately prepare for their lessons, as well as cultivate the right disposition about their students, it would very much help them to articulate much better with the appealing 'instructor's voice'. Instructors must always remember that their voice for instructional delivery counts very much and contributes to the success of teaching and learning. Therefore, natural voices and their negative tendencies must be transformed into an instructor's voice. This would turn students who are sleeping agents to active vigilantes, complainant learners to appreciative learners, and tedium students to excited students!